Whatever you normally expect from a Dads Drinking Bourbon episode, these two are definitely not it. We were joined by our friends, Denver, from Denver and Liely, Brett, the Scotch Trooper, and Brodie, from the Empty Glass Resistance, for a hilarious night between friends which sometimes included whiskey discussions. In the first episode, we talk about the Denver and Liely glasses, sip a Blanton’s from 1990, and talk about what the future holds for Scotch Trooper. We also got into an interesting conversation about finishing in bourbon and scotch. 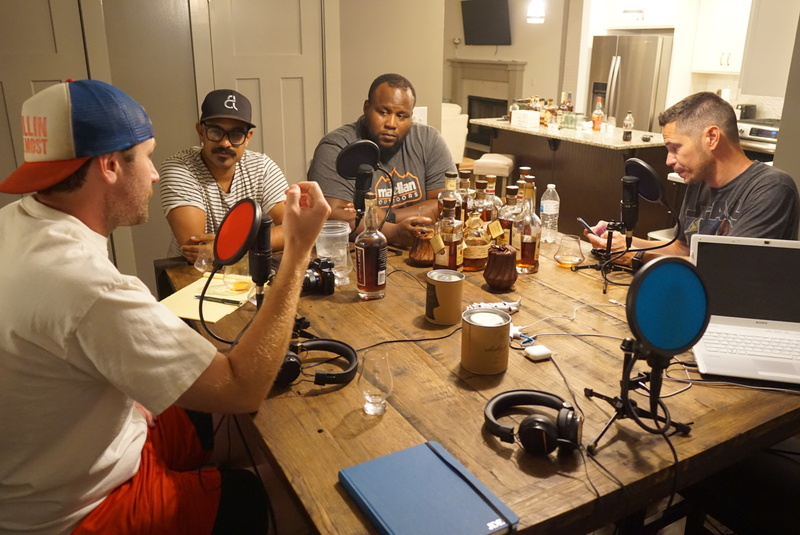 In the second episode, we attempted to review a Four Roses and a Russell’s Reserve. Either way, we hope you enjoy the entertainment of a night of laughs around whiskey between friends. Ultimately, that’s what it’s all about.